Welcome to Class 2 – The Chestnuts! Our Class Teacher is Miss Gray. Our Trainee Teacher is Mrs Coulthard. Our Teaching Assistant is Mrs Lound. In our class we have 18 children. Our topic for this half term is: "Reinventing the Wheel". We will be learning about the inventor Alexander Graham Bell and the history of the telephone. Toasting marshmallows using the fire pit. We have been learning to write instructions. 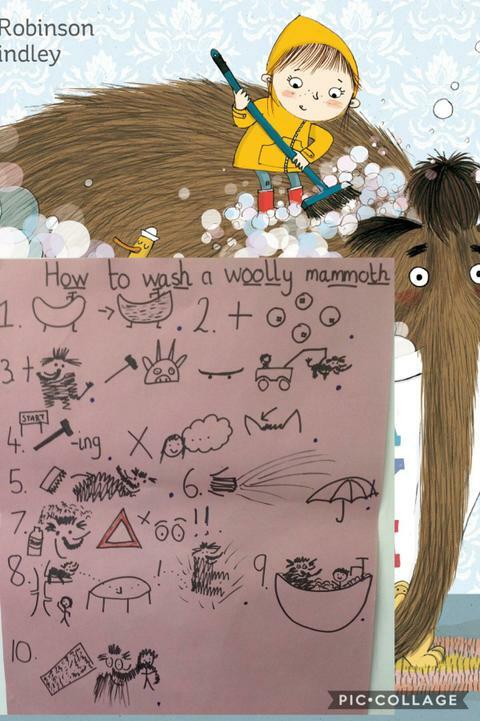 We read 'How to wash a Woolly Mammoth' and we have loved reading the story. Here is our class story map that has helped us learn about instructions.